Product Description Spellbinding Enchantment. 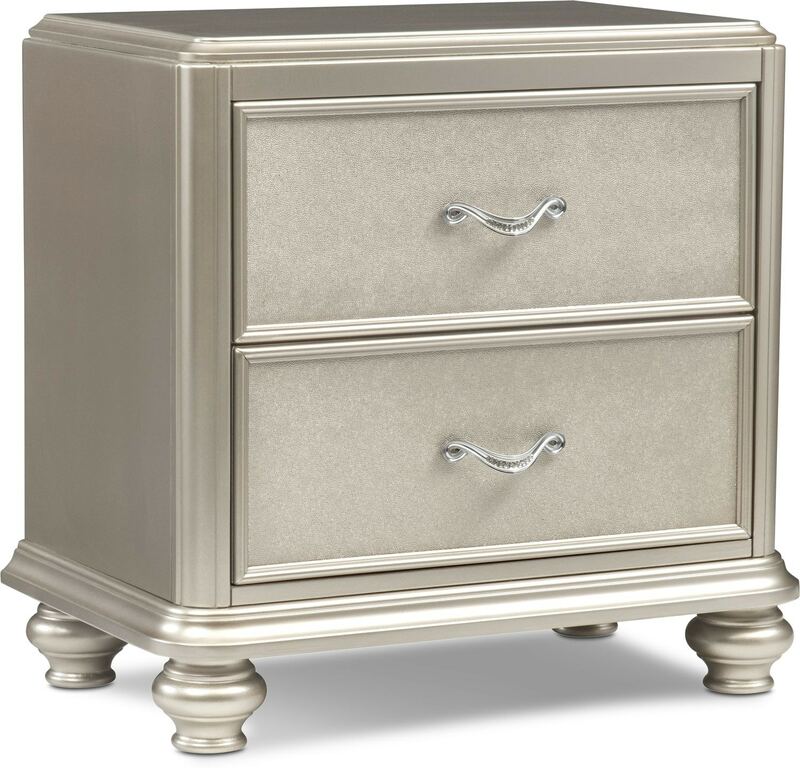 Glamorously defining your space, the highlight of the Sabrina nightstand is a platinum finish and striking shagreen drawer inserts. Intricate moldings add an elegant look that enhances any bedroom. Other details that showcase the dazzling design include turned bun feet, sleek bar hardware, a built-in LED night-light and convenient USB charging ports. Customer assembly required. Unique Features: Spacious drawers feature textured shagreen inserts. Polished detailing includes sleek bar hardware and turned bun feet. Two USB ports and a built-in LED night-light are among the nightstand’s technological conveniences. Drawers: Mounted, ball-bearing glides ensure smooth drawer motion. Felt-lined top drawer protects delicates and valuables.